HOUSTON (KTRK) -- Police are looking for a woman with an eye for expensive jewelry. 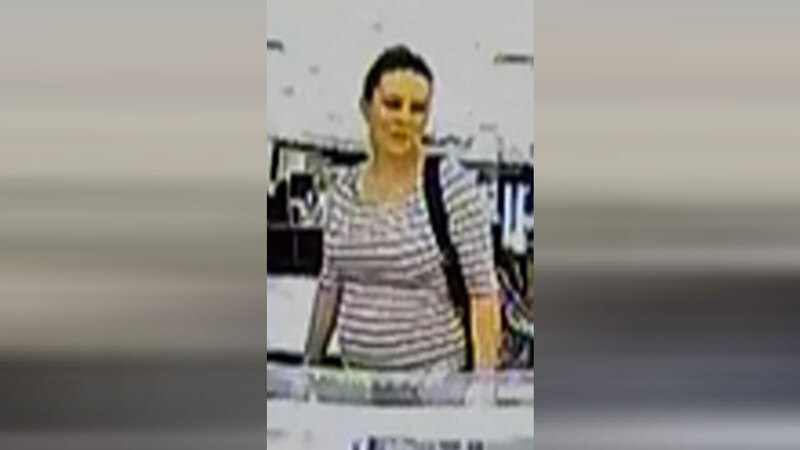 A $5,000 reward is offered for tips leading to the arrest of this woman, who is accused of using a stolen credit card to buy jewelry at Memorial City Mall. Investigators say she got away with $3,000 worth of sparkling jewelry. The credit card she's accused of using was allegedly taken while the victim was at work. The suspect is described as a white female with brown hair, approximately 25 to 35 years old. She was last seen wearing a white and black striped top, and blue jeans. If you have information about this suspect, you can make an anonymous tip by calling Crime Stoppers at 713-222-TIPS. You can also submit your tip online at www.crime-stoppers.org.